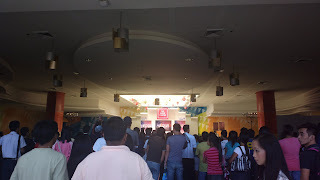 Dropping by SM City Rosales after church service earlier, I was exhilarated to see the Pilipinas Got Talent Season 4 banner. Yes! A new season is about to begin for this well followed Philippine reality TV talent show and pre-auditions are currently ongoing. 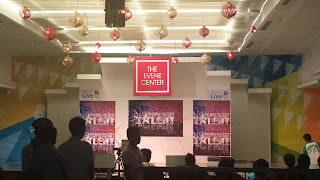 I didn’t see the judges Ai Ai Delas Alas, Sir FMG, and Kris Aquino at the Event Center of the aforementioned mall earlier. Nor are the hosts Billy Crawford and Luis Manzano present but the same audition excitement was present. The small center was filled with an excited and curious crowd. So I took the opportune moment to simply take photos. Searching for more information about the upcoming season online, I’ve discovered that auditions have actually already started during the third quarter of this year. Due to insistent public demand, auditions were extended until the end of 2012. 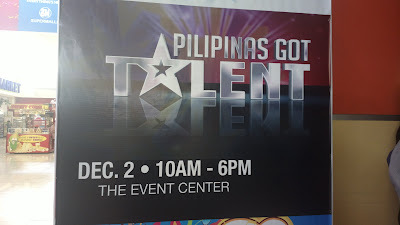 In case you’re interested to join, you can read more information about Pilipinas Got Talent Season 4 including audition instructions at http://www.cge.tv/pgt4.